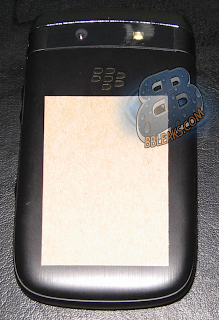 When the first BlackBerry Slider images were leaked it was a face only photograph, that was extremely blurry. Then a few more, much clearer, images were unveiled, but still showing just the face of the Slider. There was much speculation over what the rest of device could look like. The wait is no more. There is also speculation over the devices’ model number. Kevin from CrackBerry is reporting (with some viable evidence) that the Slider could be a Bold with potentially 9700a as the model number. Nevertheless, the BlackBerry Slider is definitely a “hybrid” bringing together aspects of the Storm series (without SurePress) and a Bold 9000-like full qwerty physical keyboard. It is interesting to note, that while there is some supportive evidence and rumors, since the device cannot be powered on we really don’t even know if it has a touchscreen. We also previously touched on the battery, which said was an F-X1, however we were incorrect. 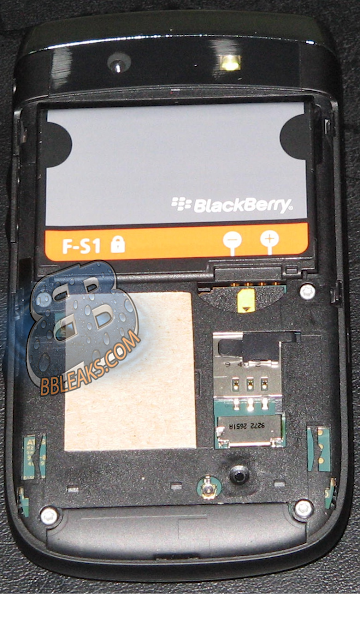 As you can see from the image above, it is actually F-S1. As you can see, nothing too special for the battery door. What else strikes us odd is there isn’t any labeling of the mega-pixels of the camera. It has been rumored to be 5MP and also include liquid lens technology (same as the Dakota), but for now even believing it is 3.2MP remains a mystery. 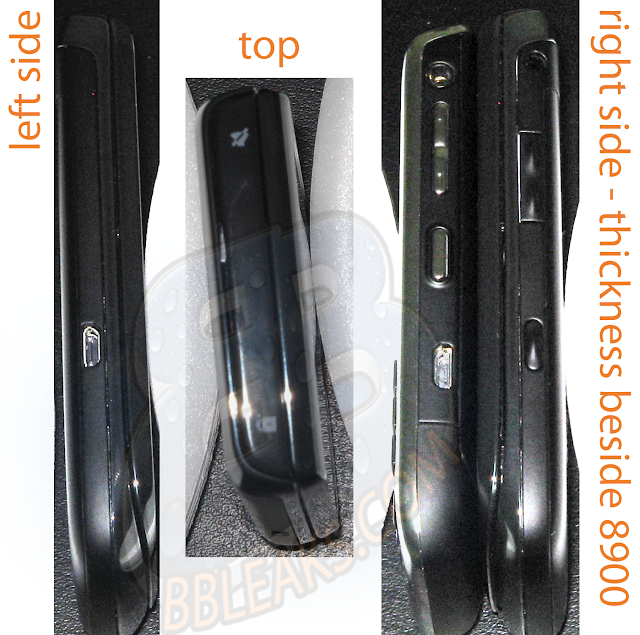 Placing the Slider next to a Curve 8900 you can see that it is fairly thicker and a bit longer. How do you think this phone will handle? We hear the weight is evenly proportioned; making it only a mild effort to type one-handed. The BlackBerry Slider may be one of the most mysterious devices. It is simply without a model number. Unless the device can get powered on and the OS (if it has one) checked out, we may be in the dark for some time. Are you still interested in this mammoth of a device? We’ve heard a rumor that it could potentially be both GSM and CDMA, could this be a deciding factor? Tell us your thoughts.